One-third of Americans say the first thing they notice about a person is his or her teeth, which is why it’s important for you to correct your minor smile imperfections. One of the most convenient ways to accomplish this goal is with porcelain veneers, a convenient and fast way to have you flashing a grin of confidence. But once you have visited your cosmetic dentist in Fort Worth to get the smile of your dreams, can you count on it to endure the test of time? Continue reading to learn how long your new veneers can last and how to can maintain them. Veneers are thin ceramic shells that fit right over your teeth to mask a gapped, misaligned, crowded or stained smile. The process begins with an initial consultation where your dentist in Fort Worth will perform a smile assessment and allow you to express the type of look you desire. Also considered will be your facial and teeth shape, as well as their color. Your oral expert will then prepare your teeth by shaving off a thin layer of enamel so that your new veneers will adhere without reflecting a glaring difference between them and your current teeth. He will then send your specific measurements to a trusted laboratory so that your permanent veneers can be fabricated. In the meantime, you will be fitted with temporary shells. Your porcelain veneers can last from six to 20 years. The longevity mainly comes down to how well you care for them. Types of foods you eat – Biting into hard foods like certain nuts or candies, can lead to chipped veneers. Using your teeth as tools – It’s far worse, though, to use your teeth as tools to perform such tasks as opening bottles or packages. This can not only chip your veneers but could also dislodge then completely. Tooth Decay – Your oral hygiene is very important because although veneers aren’t subject to decay, the teeth under them still are. Thus, a condition like gum disease could cause your teeth and gums to shift and alter the position of your veneers. 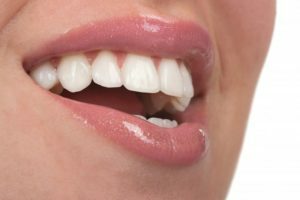 If you notice any damage to your porcelain veneers in Fort Worth, be sure to reach out to your dentist to have it evaluated. He will be able to advise you as to whether it can be repaired or will require a replacement. Now that you are more informed about how the porcelain veneers process works and how long your shells will last, treat yourself to the smile of your dreams, that will be with you for many years to come. Reach out to your local dentist today to schedule your initial consultation! With over 25 years of experience practicing dentistry, Dr. John G. Boyd is just as passionate today as he was when he first set out to improve smiles. A graduate of the University of Texas Dental Branch-Houston, he is the only Fort Wort dentist to be an accredited member of the American Academy of Cosmetic Dentistry. Dr. Boyd practices at West 7th Smiles and can be reached for more information through his website.